Living in a van is great. And not so great. Yes there are moments of freedom, peace, joy, bliss, relaxation and happiness. These moments fuel my decision to live in a van, and keep me sane during the rainy, city days. But this life takes work. This lifestyle may appear “easy” and “carefree,” but oftentimes, it’s not. We work hard at keeping Hobo running and happy. We work hard at giving Sitka enough love, attention, and outside stimulation. We work hard at our relationship – to be the best versions of ourselves so that we can love more dearly and openly. And we work hard at our health; to focus on eating nourishing foods and moving our bodies for optimal wellbeing. Sometimes things are not as they appear on social media. 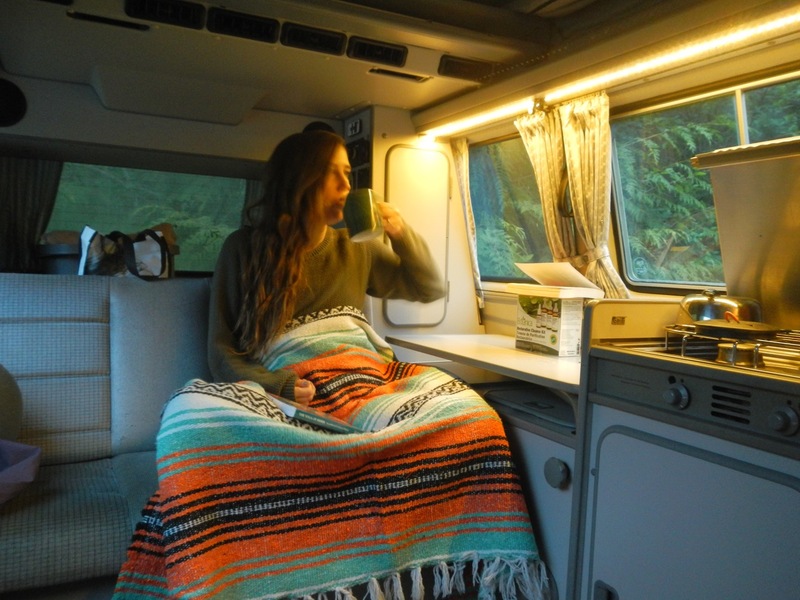 #vanlife is a great hashtag, revealing lives of blissful freedom, sans mortgage. Freedom is more than a van. Tara, your living sounds and for the most is COLOURFUL which is good. Enjoy this chapter to the max. Oh Right! You are already doing that. At some level I’m envious ………and feel too domesticated.